Hope all is well. Just letting you know (in case I haven't already done so) that the manuals arrived safely. Thank you very much. I haven't had the time to read all the way through them but my congratulations on all the hard work you have put into producing such a fine series for your students. Like Sosai used to say, doing what you can for the students is what it is all about. So well done. I hope I have more time to really get into them and learn something! Just got your manuals today - Wow what an effort! While we do have a little handout, it's nothing like that, more like the equivalent of one of those booklets. I will be perusing them at some length in the near future, especially the one on Dojo Management! Just wanted to let you know that I had a chance to look over the manuals yesterday. They are very well written and informative. Interesting how you spell out all the katas for people. What are the chances that we could work on one while you are here? I think the manual on club management has the most information for me right now. I will need to sit down and READ it later this week. Thanks a lot for the Manuals and Tape which will be of great help for me. I like the Ashihara stuff, especially the sabaki kumite. The tournament planner will be very helpful for me in future. Domo Arigato, I received a package today, I almost did not open it but when I saw South Africa on it, I realised it was from you. Both handbooks were very informative and they were both wonderfully written and very enlightening. Your manuals were good. I like the set-up. Much information for the students. I got to your manual this weekend and was able to read it from cover to cover. I thought it was excellent, Hoosain! Lots of good points, well laid out. It needs a bit of tightening up in spots, but I am sure you already know that. I enjoyed reading it and think it has a lot to offer. I would certainly recommend it. I have been reading the material... it is very well presented and there is a lot of good information in it. I had a cursory view, so far. I think a lot of thoughts and experience have gone into this. It reminds me of my Management studies and other sales management techniques - the marketing 4Ps, telemarketing concepts, handling sales objections, closing sales techniques, etc, etc, WOW !! Is this your MBA thesis or what? Anyway I think it a thorough and very useful/relevant for Instructors. 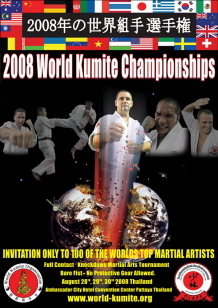 Good work and a tremendous contribution to the martial arts community. The two manuals have so much information for me to digest. 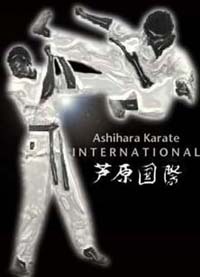 I've learned a lot about the history of Ashihara karate from the manuals. My feed back on the various manuals. 1. Teaching manual. - I liked it very much. It gives an idea of a good marketing program (we just begin to think about it), systematic approach (I thought about it in a different way), role of the instructor, training motivation, lesson planning ( I think we have the same but no cool down),. I like your planning of training periodisation, learning modalities, why students get bored, safety and first aid. I used advice from the manual about first aid last week. Flexibility was very interesting 'cause it's my weak point. And it's very convenient to have a glossary at the end of each manual. 2. Kata guide. - It's great but one thing embarrassed me - explanation of nage no kata sono ni. 3. Students Handbook. 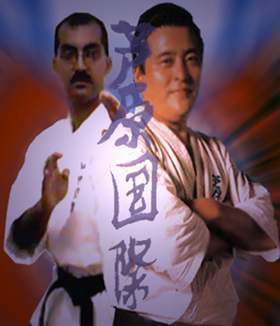 - It's very good for a beginner to have such a book from where he can learn about what is karate and Ashihara karate in particular.. what are the relation and grading system. 4. Theory test - I tried to answer it myself and so questions again: What are the principles for choosing a block? (yellow belt part 4, green one part 2-2) What are the check points in black belt part 1? At the moment I'm thinking about my individual plan of training so your manuals helped me very much in understanding of what should be. Just wanted to let you know the manuals arrived. Thank you very much for kindly sending me copies. You have put so much work into them and they look great. Congratulations on a big job! How are they being received there? I am sure that when I finally get the opportunity to go over the manuals slowly, I will get a lot from them. I received your manuals. Thanks. I think they are of very high standard and there is a lot of good information. I have glanced over the document a bit, read the first chapter or so and find that I will be reading that for a bit before I really finish it ... as I scanned through it - it is very self explanatory and I find it useful and informative for the future as well as here too. Thank you, again. Thanks for the Operation Manuals. I have never seen anything like this in the bookshops. I think it will help the instructors a lot. I think if my instructor in Australia had this manual earlier, he would not have gone into retirement. Have you thought of publishing this book? Thank you also for the materials from your school. I always love seeing other schools' manuals. Someday I'll get more organised and put out more written materials too. All we have right now is a student handbook and list of Japanese terms! Your teaching manual will be very helpful to me in putting together something for my own sempais. I haven't read it in detail yet of course but I can see your spirit in the parts I've seen already. Thank you for the tape and the TKD book (ooof! that was quite a back spinning kick!). Thank you very much for the Taekwondo book and for the Tournament Planning Manual. I really appreciated it. I recognized some of your students in the Taekwondo book, it is nice to see you involve and co-operating with others styles of Martial Arts. The Taekwondo book was very well done, very professional. 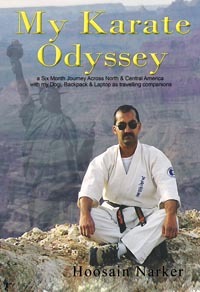 It is a very good book for beginners or people who want to learn more about Taekwondo. The Manual you sent me is very good and even if it design for that tournaments still have a lot of material and ideas that it can be adapted. Thank again it was a very nice of you. Wish you well. OSU! I've read about half the manual so far. The manual is excellent. The style of teaching is the same that we strive for and it is good to have a reminder on the various teaching points from another source. I received the manuals, but just had a little look, there is a lot of material!!! I should take time to analyse, because the contents are really extensive and deep, let me congratulate you, there is a big work! Let me thank you again and again. The manuals have a lot of valuable information and we can use it as a reference always like encyclopaedia of Ashihara Karate.